From skincare, haircare and fragrances, to soaps, shower gels and suncare, the health and beauty industry provides us with some of our most personal items. Basic bathroom essentials and luxurious products for pampering never go out of style, come at every price point, and apply to every age group and gender. Today, the health and beauty market opportunity is bigger and more attractive than ever. According to Orbis Research, the global cosmetics market was valued at USD 532.43 billion in 2017 and is projected to hit USD 805.61 billion by 2023, a CAGR of 7.14% from 2018-2023. If you’re a health and beauty brand, that presents a huge opportunity. But only if you’re prepared for what’s next. We created The Pocket Guide to Health & Beauty Marketing to help you maximize your results. In this interactive quick read, we unpack the latest trends, research, and tips on how to make your health and beauty marketing glow. 1. Get your social strategy in order. When it comes to health and beauty marketing, Facebook and Instagram are key players. Shoppers aren’t just browsing online, they’re paying attention to what their friends are doing (and products they’re using), looking at influencer and brand feeds, and posting their own content at all hours of the day and night. 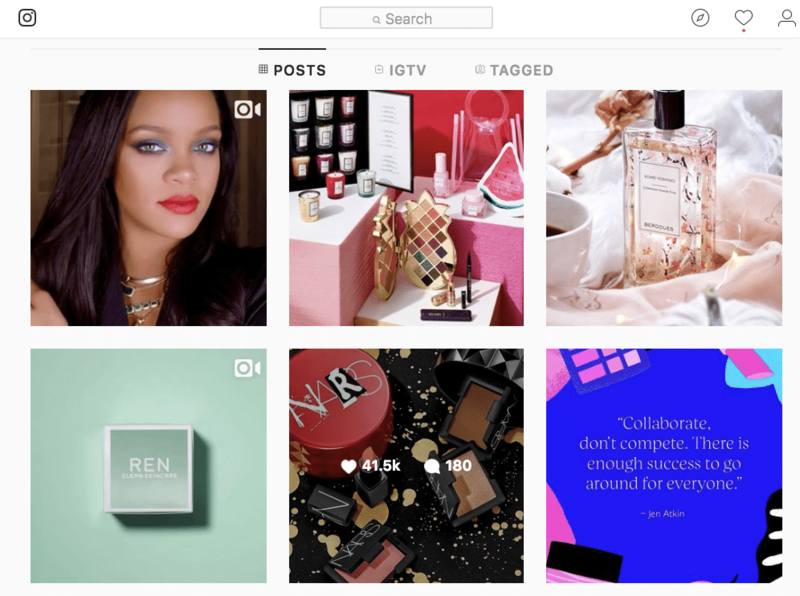 Cult brands like Glossier are posting awesome content, including the user-generated variety, on their social channels, building especially loyal followings among both Millennials and Gen Z. Social retargeting can be an incredibly effective way to capture more sales by helping re-engage savvy and on-the-fence health and beauty shoppers who are already engaging or are likely to engage with your brand. Snapshot of Sephora’s Instagram feed. Dynamic retargeting ads can help. With about 1 billion monthly active users (Instagram) and 2.23 billion monthly active users (Facebook), both platforms are extremely valuable for retargeting campaigns. Re-engage shoppers that are most likely to buy with highly personalized ads and you could see a sales uplift of 12% or better. 2. Use video retargeting to bring shoppers back. Video retargeting is a strategy you simply can’t ignore. Shoppers spend a third of their time online watching video content. In particular, Gen Z streams more content (an average of 23 hours of video content a week). That’s more than any other generation, not to mention nearly one full day out of every seven. With more and more people engaging with video across all devices, video advertising is increasing 40% year-over-year and Cisco forecasts that in two years’ time, more than 80% of internet traffic will be video-based. The top corner of this Glossier video from the brand’s YouTube channel is a call-to-action that takes viewers directly to the Wowder product page for more information and the chance to check out. Criteo Dynamic Retargeting generates 20-second video ads featuring a branded intro and outro, relevant product recommendations from your live catalog, and an accompanying music track – all delivered in real-time and at huge scale. The results speak for themselves. Look at how much health and beauty retailers increased abandoned cart conversions, shopper time spent on site, and conversion rates across devices. 3. Make your mobile experiences awesome. As our Global Commerce Review shows, more of the world shops from the palm of their hands than ever before, and app usage is growing. The latest Criteo research reveals that mobile transactions (mobile web + app) make up 65% of all transactions, and there’s been a 30% YoY increase in app transactions worldwide. In step with the mobile shopping trend, responsive design, images that read on phone screens, carts that are persistent across devices, and the ability to call up online accounts at in-store registers are becoming the norm. To meet consumers’ expectations, your mobile presence needs to be optimized to capture all the on-the-go opportunities. 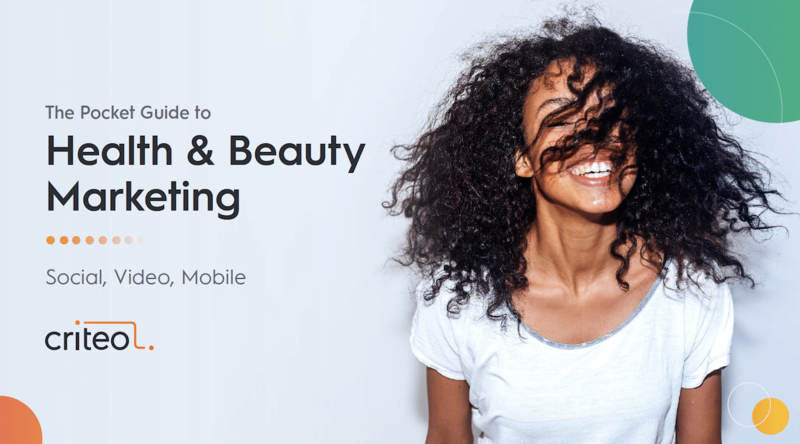 Criteo App Retargeting allows you to advertise your beauty apps across the most common apps (including social media), making it as easy as possible for shoppers to complete their health and beauty purchases. 4. Activate data to personalize your content. Wherever your customers are hunting around online, from mobile browsers to apps, videos and social, you need to activate as much shopper data as possible to deliver the most relevant content. 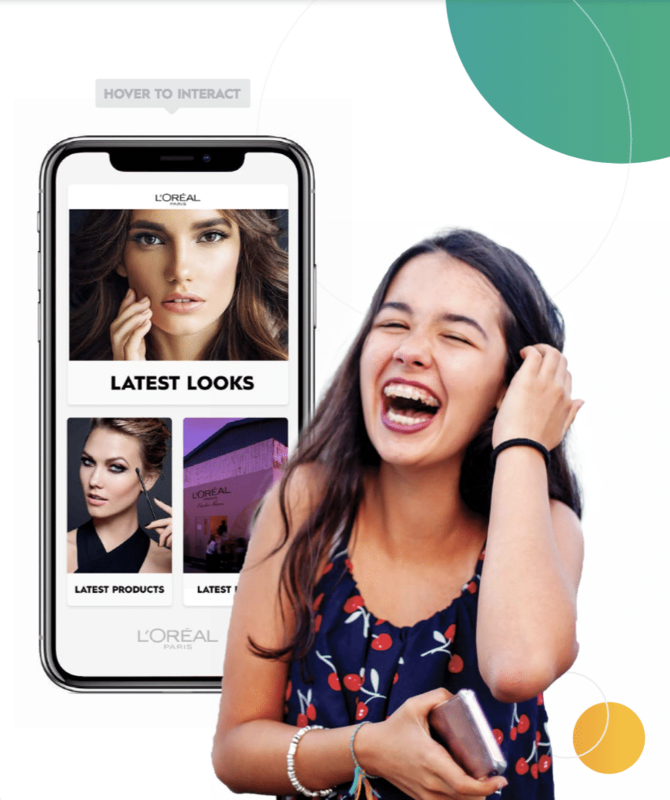 Take L’Oréal — whose subsidiaries include Lancôme, Urban Decay, Essie, NYX, Redken, Kiehl’s, Biotherm, and Garnier — a category leader that uses data to personalize all the ways they connect with their shoppers at anytime, anywhere. Criteo Shopper Graph lets you tap into three data collectives that allow you to get a fuller picture of the purchase journey, helping you reach your health and beauty customers based on factors like browsing data, shopping history, and more. For a brand that’s virtually flawless, data should be your foundation. Omnichannel is the new normal, making a connected online and offline marketing strategy the latest must-have. Given all the ways shoppers are drowning in content, the opportunity for health and beauty brands to cut through the noise with personalized advertising across channels is limitless. Businesses that win in the long term will have one thing in common: They’ll be using data to create personalized experiences at every point in the purchase journey, from social media, to apps, on the web, and in-store. To learn more, download our Pocket Guide to Health & Beauty Marketing today!